elrow returns to the balearic island for another season! 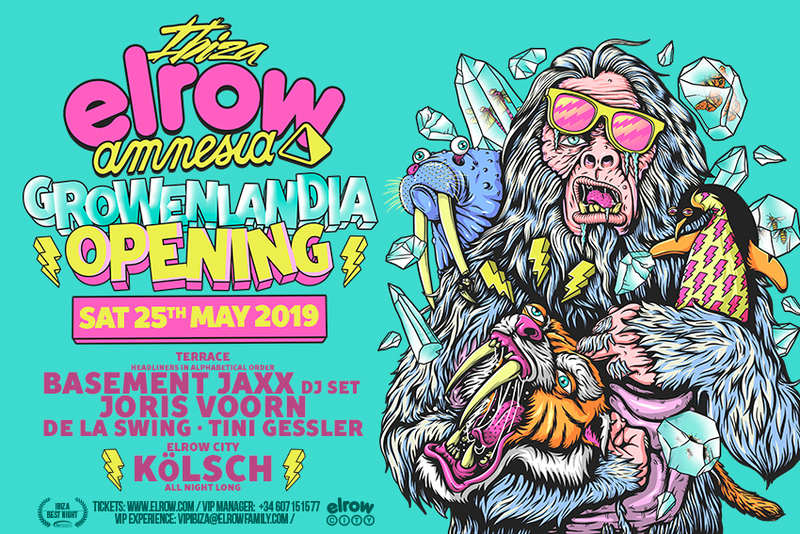 The award-winning party touches down at Amnesia on May 25th and this time temperatures are plunging below sub zero, -51 degress to be precise! The new theme Growenlandia transports party-goers into a world of blizzards, roaming polar bears, tearaway penguins, skiers slaloming across their path and Santa Claus strutting his best moves! elrow attendees have the biggest DJs in the world to join them on their icy adventure. Techno giant Joris Voorn will be demonstrating to the Terrace why he's so beloved on the White Isle with electronic music icons Basement Jaxx, De La Swing, George Privatti and Tini Gessler. Techno heavyweight Kölsch will be keeping dancers moving all night long in Elrow City making sure that elrow's Ibiza residency kicks off in the best way possible! There's nowhere better and nowhere crazier to be on the island than elrow at amnesia!